Early morning on the beach near the island's ferry jetty. A fresh crop of visitors arriving on Pulau Ubin's main jetty from Singapore. 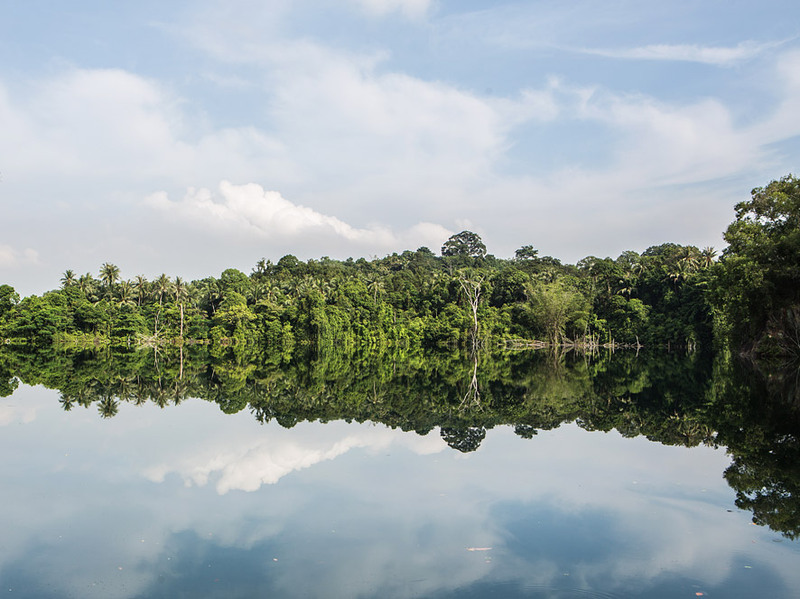 Reed-filled ponds dot Pulau Ubin, whose varied habitats are home to more than 600 plant species, almost 200 species of birds, and dozens of different mammals and reptiles. 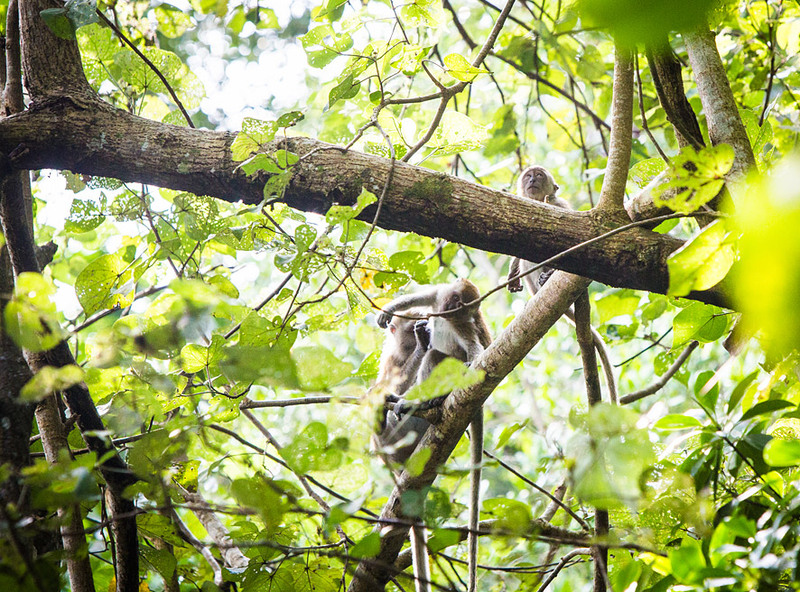 One of Ubin's resident macaques. 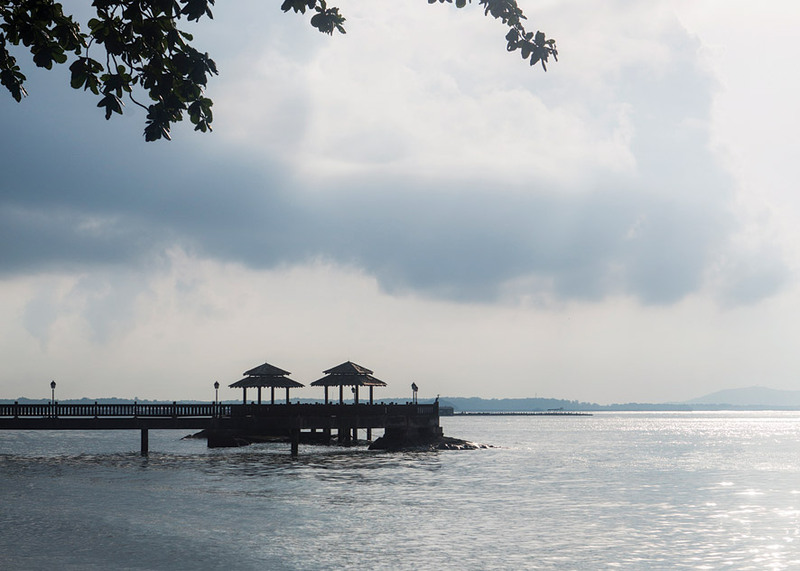 Pulau Ubin is only a 10-minute boat ride away from Singapore. A bird's-eye view of the boardwalk that passes through the mangroves of the Check Jawa Wetlands. 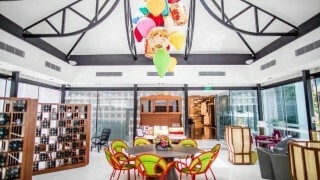 If I told you that there is a place in Singapore, the world’s third-richest country, where the residents live without running water in wooden houses roofed with corrugated zinc, would you call me a liar? How about if I said that the only way to get there was on a sputtering bumboat that doesn’t follow any timetable? Or that wild boar and their sweet little shoats roam there free, and people wake not to alarm clocks but to the crowing of roosters? What do you say now? Not buying it? Then you’re clearly a stranger to the elementary charms of Pulau Ubin. Covering a mere 10 square kilometers, Ubin is a hilly island in the Johor Strait shaped like the spread wings of an eagle, and indeed it is home to feral pigs and rustic dwellings where diesel generators power the fans and DVD players. It’s Singapore circa independence in 1965, a last glimpse of the low-rise, fecund kampong life that once defined the Lion City. Today, fewer than 50 people live on the island, and apart from the tiny village by the jetty on its southeast coast, there are just hints of civilization among the forested hills—houses seemingly dropped into the jungle, closed in by palms and pulais and perepats. Great tracts of the island, including the campgrounds of the National Police Cadet Corps and Outward Bound Singapore, are wild. Pulau Ubin, in short, is everything that mainstream Singapore is not: anachronistic, decrepit, green, unkempt, quiet, mossy, low-tech, anonymous, real, animal, mineral, magical. 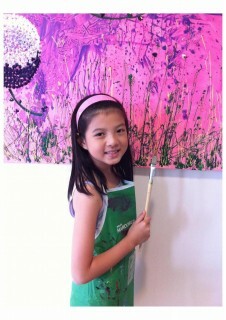 And for that, many Singapore residents—myself included—are interminably grateful. 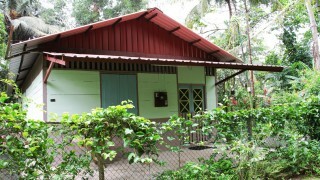 Though today home to just a handful of people, Ubin wasn’t always so low density. 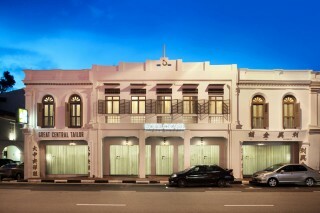 It once supported a booming quarrying business; granite (from which the island derives its Malay name) was first mined here in the mid-1800s, carved out in great blocks to build the Horsburgh Lighthouse, Fort Canning, and later, the Johor–Singapore Causeway. Thousands worked and lived on Ubin during its heyday, but as quarrying fell off in the 1960s, so too did the population; the last quarry operation, Aik Hwa, shut down in 1999. Left behind were gashes in the land that have since filled with rainwater, transforming the quarries into smooth lakes that add a glassy beauty to the terrain. The most comprehensive account of Pulau Ubin is Chua Ee Kiam’s reverential tome, Pulau Ubin: Ours to Treasure. Chua, a dentist by profession, spent seven years photographing, researching, and in-terviewing island residents before publishing the coffee-table book in 2001, and his love for the place is evident with the turn of each page. All facets of Ubin life, from the Chinese legend of how it was formed (a pig and an elephant turned into stone while trying to swim from Singapore to Johor) to the flora and fauna and people who call it home get their due. Ours to Treasure is remarkable in its scope and sincerity, and is about as close as you can get to understanding the island without stepping foot on it. That’s no substitute to visiting, however. 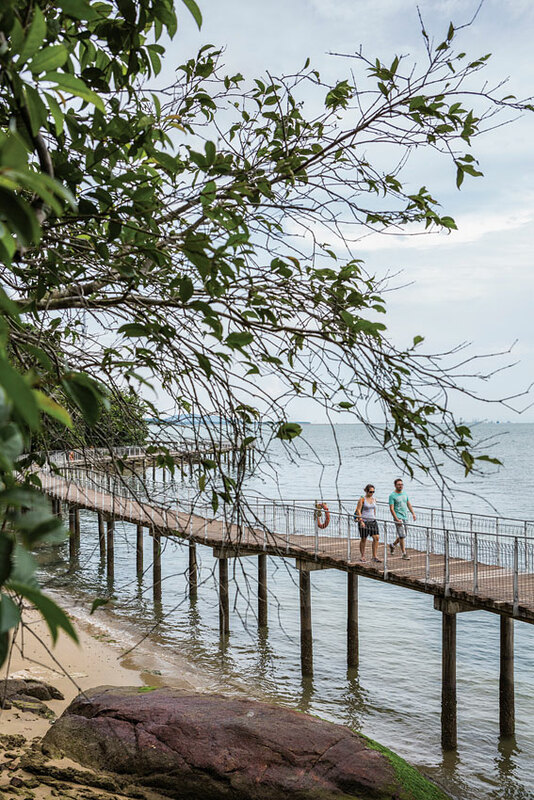 In comparison to Singapore, Ubin can seem as otherworldly as the moon, yet it’s this very quality that renders it so popular; during the week numbers are slim, but on weekends the island attracts about 2,000 visitors, most of them seeking to drink in a Singapore that exists nowhere else. Even getting there is about as un-Singaporean an experience as one could hope for—a 10-minute passage on clunky wooden bumboats that only cast off from the Changi Point Ferry Terminal once 12 passengers (their full capac- ity) have boarded. With their open backs, peeling paint, detritus-filled interiors, and fuming motors that just barely sustain headway, the boats make a fitting prelude to the yesteryear ways of Ubin. Once off the ferry, the first thing you’ll notice, apart from the clutch of stilted shacks (one of which houses the island’s only full-service restaurant) perched above the murky shallows to the left, are the battalions of bicycles, most of them for rent. They line the jetty railings and village roads. 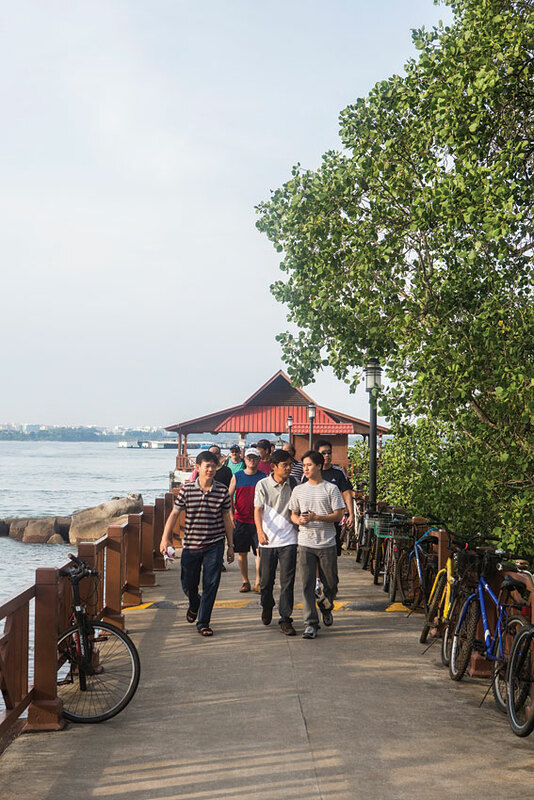 Chu Yok Chun, the Ubin-born owner of 45 C Bicycle Rental, estimates that there are 3,000 bikes on the island. That sounds like thousands more than the island would ever need, but it also means you’ll have your choice of two-wheelers, the best way of touring the isle. Grab one, and in 20 seconds you’ll be pedaling past the National Parks Board office with its pointers on island etiquette (a monkey advisory warns that Ubin macaques have learned to distinguish plastic bags and food containers from other paraphernalia) and leaving the village behind. 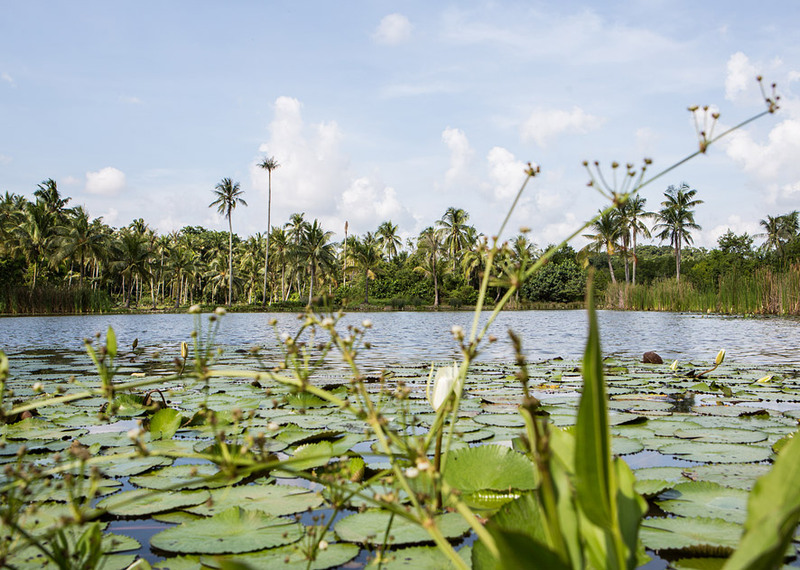 Ubin’s natural delights begin to reveal themselves just as quickly, from lotus ponds where brightly colored dragonflies hover and dive, to the mesmeric whisper of the wind through the leaves of candlenut and cocoa trees. At Butterfly Hill, near the Jelutong campsite on the south coast, clouds of butterflies—common mormons, pygmy grass blues, autumn leafs—flit around the curry leaf plants and lantana blossoms, while the sweet fragrances of mock-orange and pomelo buds infuse the air. 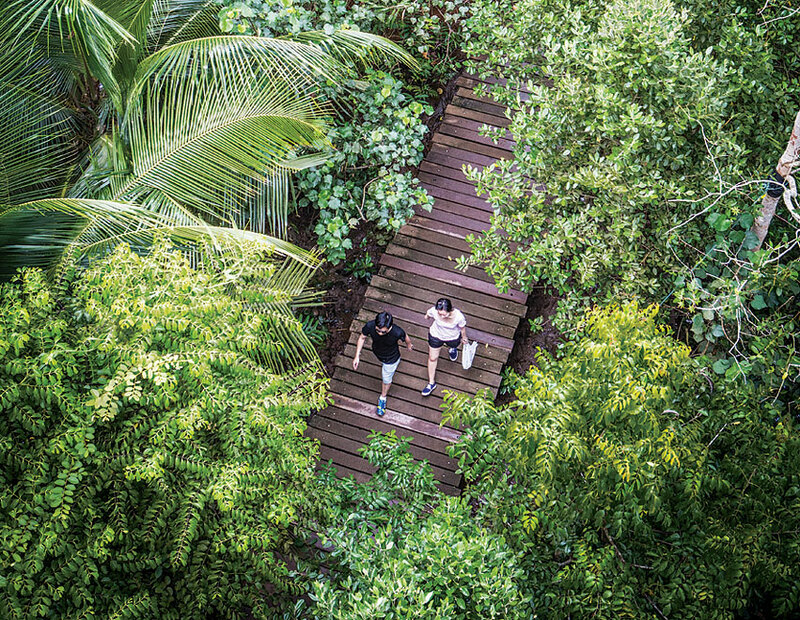 Farther west, the undulating trails of the 45-hectare Ketam Mountain Bike Park cut through rubber forests, along rocky hillsides, and across grassy meadows. Gangs of young Singaporean mountain bikers in full body armor and skateboard-style helmets come to Ubin for the sole purpose of conquering the park’s more challenging terrain, which includes a rock-studded track dubbed Black Cobra and an equally terrifying descent called (with no hint of irony) Grave Drop. Between Butterfly Hill and the bike park is the island’s finest lookout, the peak of Bukit Puaka. The steep, rocky climb to the top puts you above an old granite quarry, now filled with an expanse of cobalt-tinted water that makes a pretty contrast to the greenery wrapped around its shores. In the distance, banks of apartment blocks on the Singapore mainland splatter the horizon, but they seem—spatially and mentally—light years away. I’ve often sat here for long pauses, undisturbed except by the voracious mosquitoes and the Himalayan swiftlets that dart overhead, wondering why more people don’t stop by. Is it the climb? The lack of signposts? The notice cautioning hikers that TREES AND BRANCHES MAY FALL TAKE CARE? Whatever the reason, whenever I visit Ubin, I’m always happy to have it for myself. Singapore’s last village, Kampong Buangkok, faces impending government eviction. 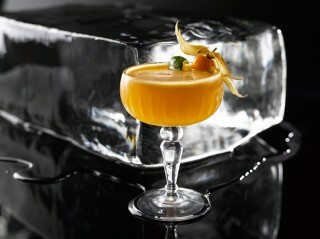 A new batch of cocktail bars in Singapore are taking artistic liberties with their drinks. 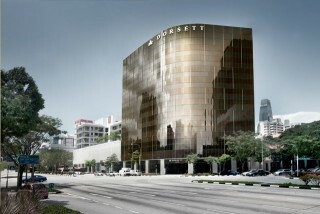 Dorsett Singapore occupies a choice location on the edge of the city-state's quaint Chinatown.